I've been using this product for a little while now and I have to say I really like it. It has a lovely fresh smell that is not overpowering at all. It feels very light on the skin, yet still does a good job making my skin feel soft and moisturized, even though the cream is not very thick at all. 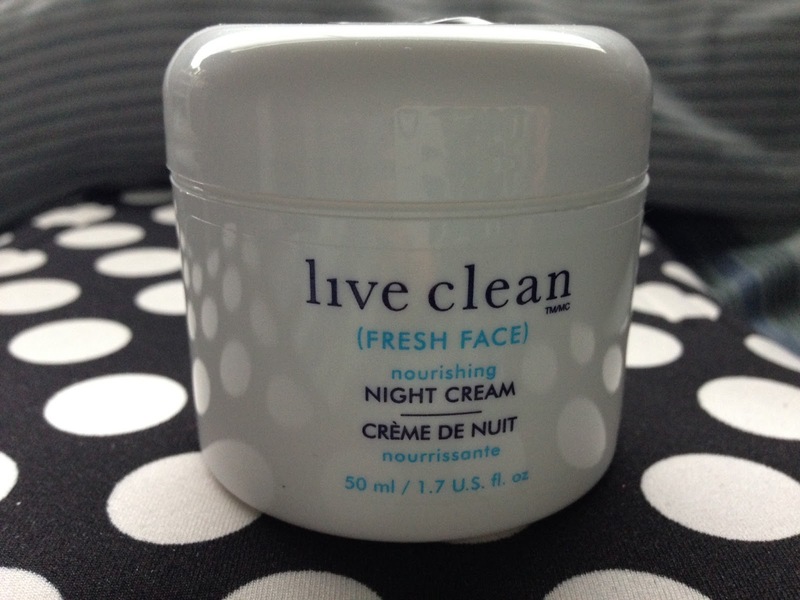 For my night creams I generally prefer a thicker cream, however, Live Clean is nice and rich. My usual is Nivea's Aqua Effect Nourishing Night Care, which is ultra moisturizing. For me, I want the cream to really get into my skin at night and moisturize the hell out of it. However, my skin still wakes up soft and supple thanks to Live Clean's moisturizer. Due to it's slightly runny nature I feel like I will end up using this product up much faster than I usually use up Nivea because you end up getting quite a bit more when you stick your finger in and you end up wanting to use more because it is so thin. That's my theory anyway, but we'll see about that! My absolute favourite part of this product is that's it is paraben, phthalate, and dye free! It's also 98 percent plant derived. As you may know from my previous post on LUSH's henna hair dye, I have been on a quest to find more natural-based products without the harmful chemicals in them that so often find our way into cosmetics. So what are parabens and phthalates anyway? 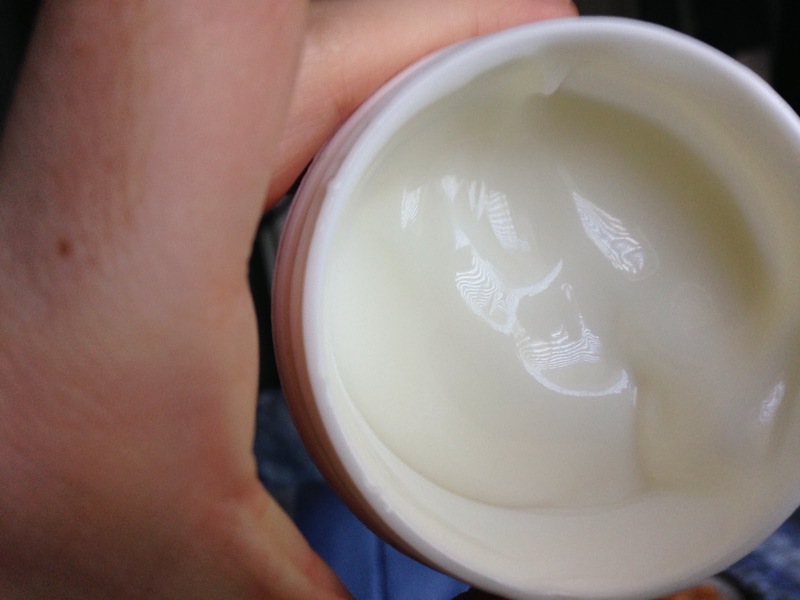 Parabens are often used in cosmetics as a preservative. They are unregulated in Canada, but have links to breast cancer in particular and may interfere with hormones. In other words, they're bad news and the more we can stay away from them in our beauty products the better! Phthalates are used in cosmetics to increase the long-lasting colour and smell in products, among other wide-ranging uses. Like parabens they may have links to cancer and interfere with hormones, especially during critical times like pregnancy. Phthalates are often used whenever the word "fragrance" is listed on ingredients (companies do not have disclose what ingredients make up said fragrance! ), so it is best to avoid products that contain it. A difficult task, I know, it seems to be in nearly everything! If you are looking for safe products like me, the Breast Cancer Action website is a great resource in finding such products! They even link to numerous companies which are paraben free, as well as provide a list of things to avoid on the ingredients listing when you are searching for products!